Replace your stock plastic mounts with these durable steel mounts for your '08-'12, 2-seat Teryx. The Teryx Steel Seat Mounts lower the seat 1" from the stock height. Used to replace your '08-'12 stock, 2-seater, plastic pans. These mounts have an open center design so your suspension seat will work properly. 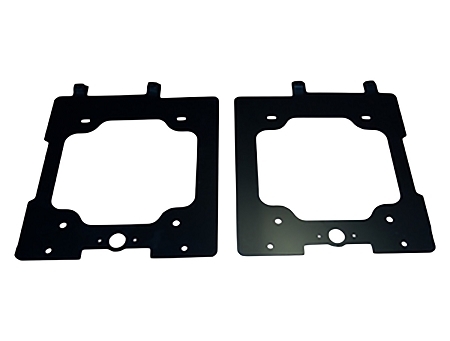 They are also much stronger than the OEM plastic mount and very easy to install.